So far sake0329 has created 50 blog entries. Have you heard of ‘Sparkling Sake’ before? Yes, Sparkling SAKE. Not sparkling wine. 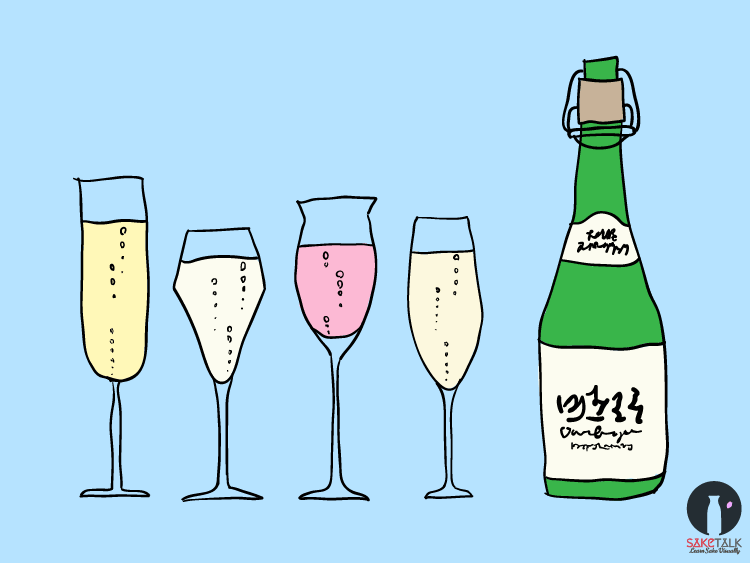 Sparkling Sake is becoming increasingly popular in the last decade. Now with 100+ different brands of Sparkling Sake available, you’ve got to try one if you haven’t already! 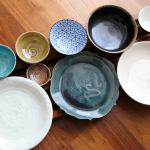 Sake is not just for drinking. 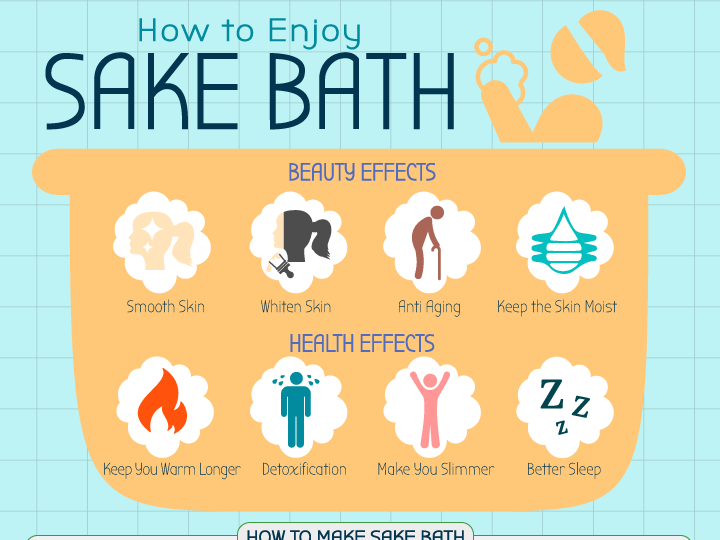 You can enjoy the health benefits of Sake by bathing in it! Sake bath is enjoyed for beauty and health purposes even by some of the top actresses in Japan. It’s very easy. Literally immerse yourself in Sake! 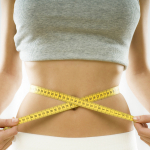 Is Sake fattening? 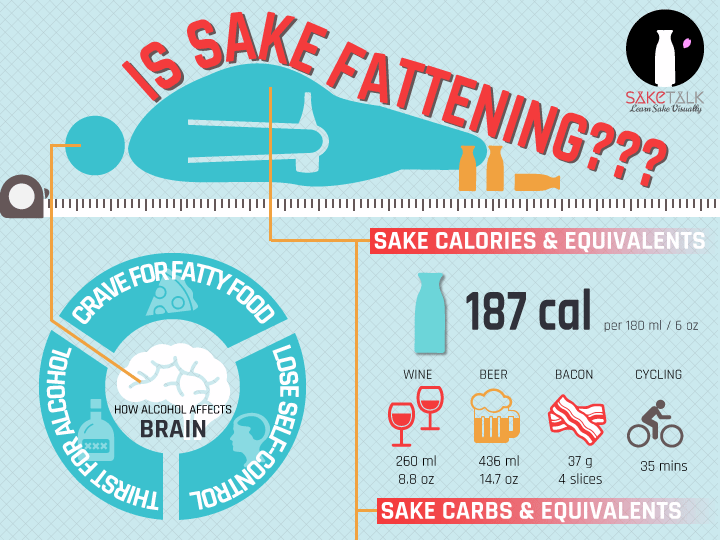 Does Sake make you fat? It’s a big question especially if you’re health conscious or on a diet. 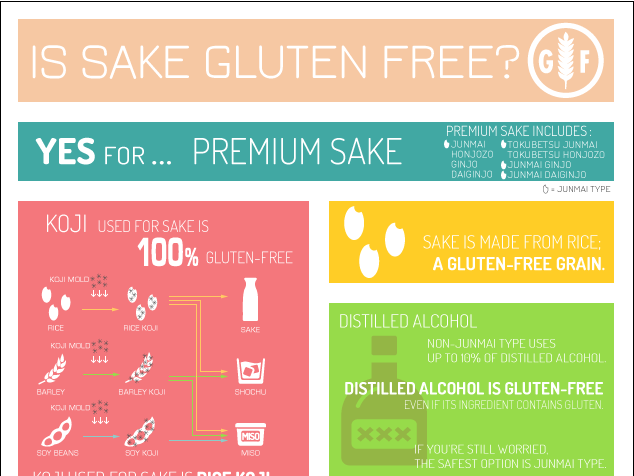 ‘Is Sake gluten free?’ It’s the key question for people with gluten intolerance or celiac disease. However, as gluten free diet is not very known in Japan, the true information can’t be easily obtained. 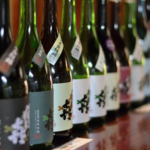 Just like wine labels, Sake labels tell you an enormous amount of information. 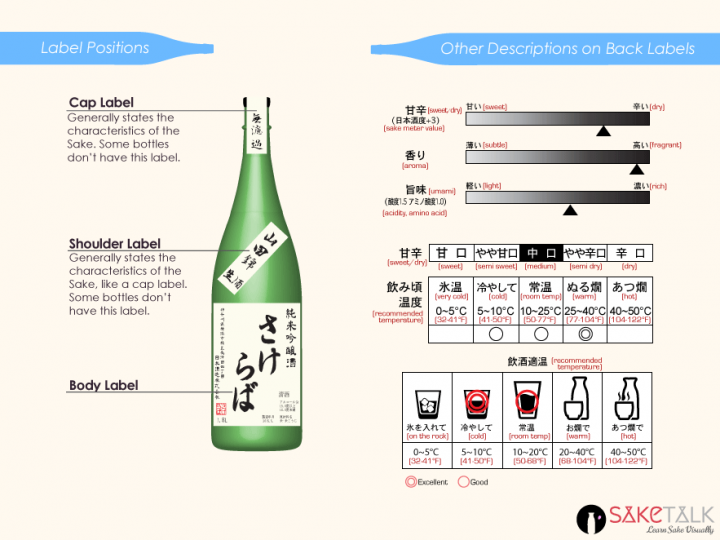 By decoding a Sake label, you can expect the aroma and flavor of the Sake. 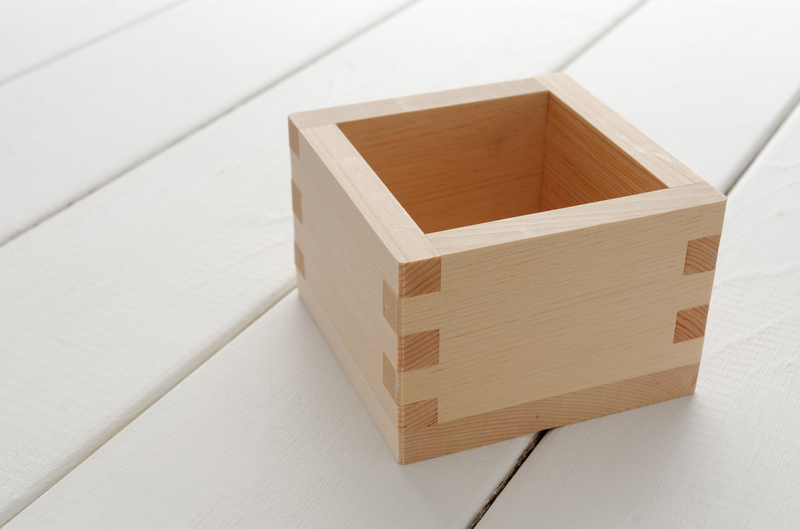 Here, we’ll talk about two of the Sake FAQs – ‘How long does Sake last?’ and How to store Sake. Learn them visually with the following infographic! 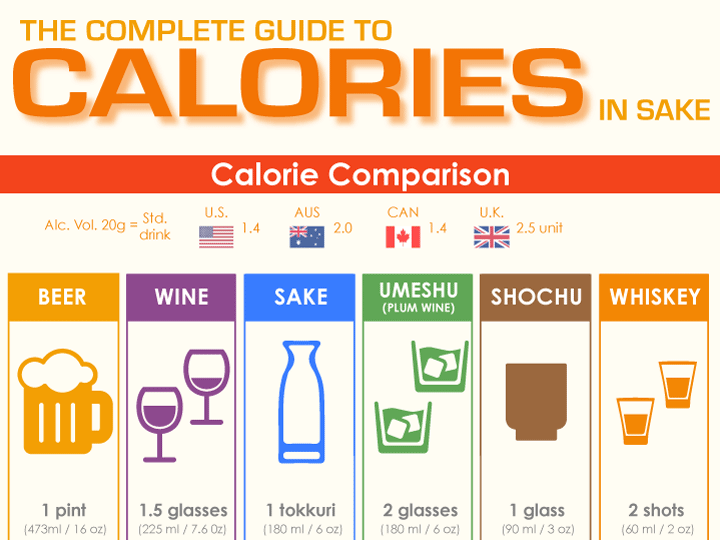 Despite the beautiful taste of Sake, you may want to cut down because of Sake calories. 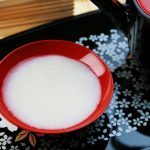 Some believe that calories in Sake are higher than those in other alcoholic beverages. Why? Because Sake is made of rice – a symbol of carbohydrate. 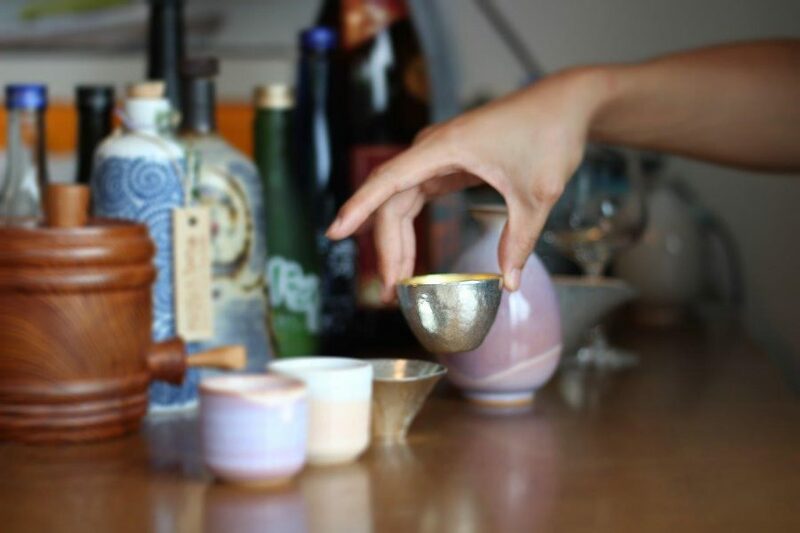 Sake serving temperature is not just cold, warm or at room temperature. It’s not that simple. 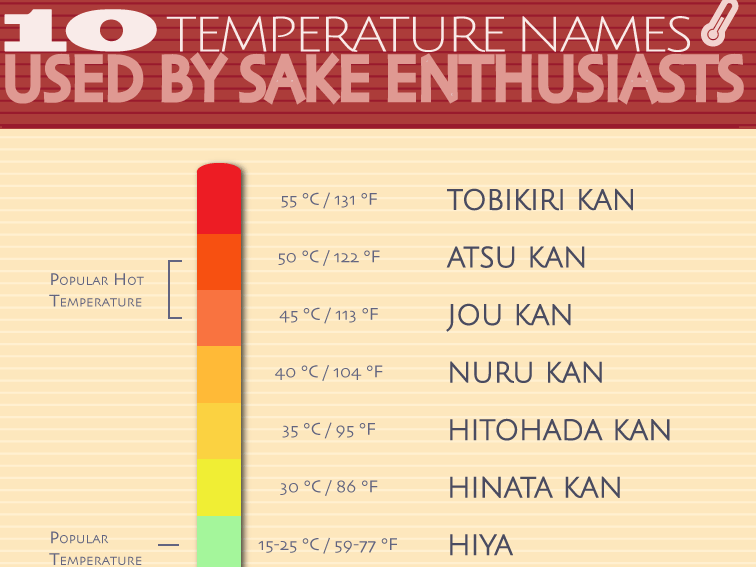 There are actually 10 names for different sake serving temperatures. 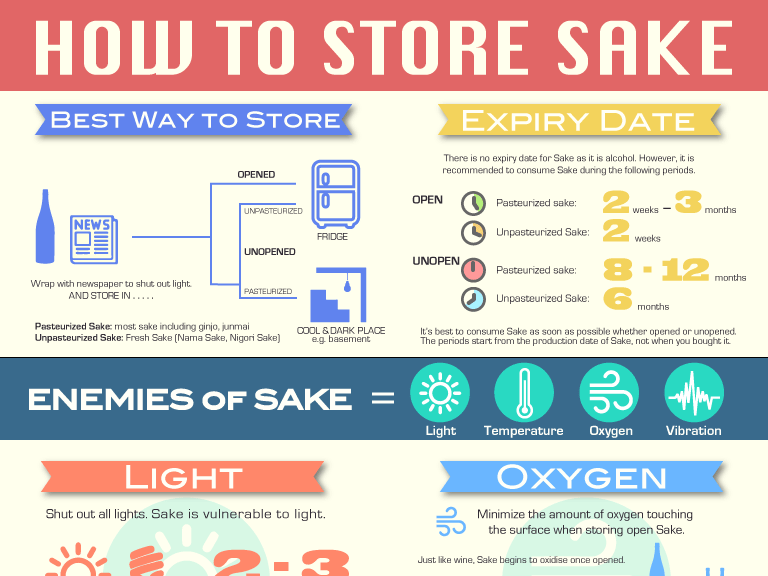 Learn and find your favorite Sake temperature! 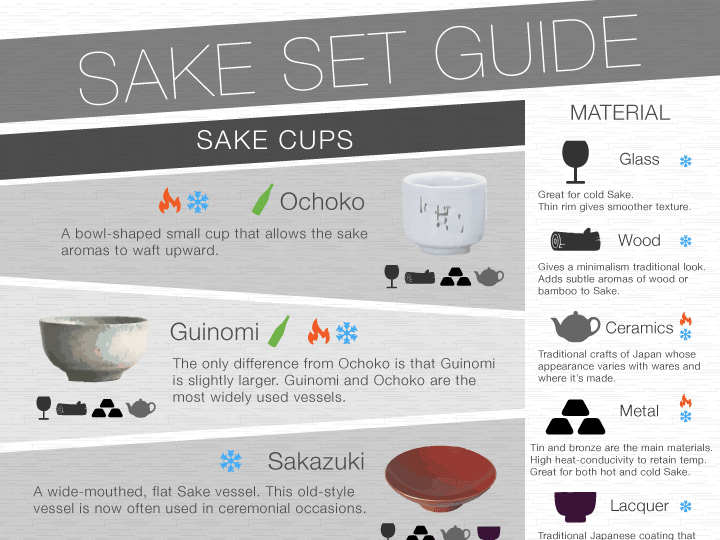 Want to know the best sake serving temperature of each type of Sake? 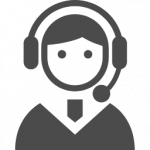 Check out Best Sake Serving Temperature page.